So my mom finally got a Keurig and apparently didn’t want to throw away the old coffee pot. 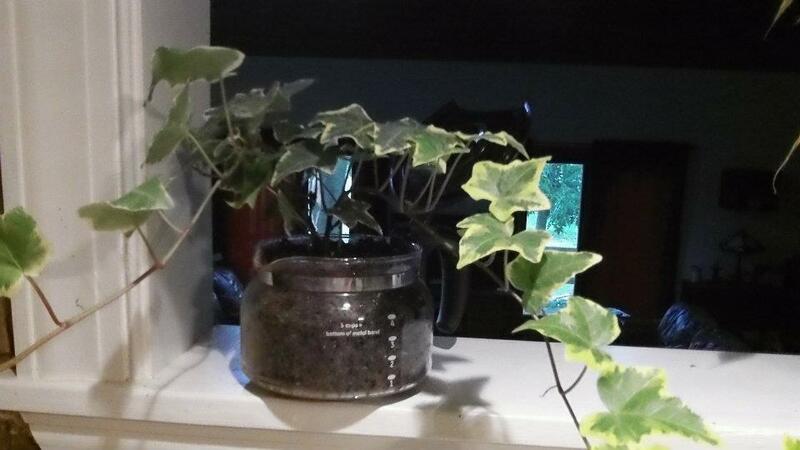 So, she turned it into a planter. This actually goes really well in her house with all the antiques and other decor. If you don’t want to use it as a display planter, use it to start some seedlings. You can even spray paint it a different color if you don’t want it to be clear. Whatever you choose to do with it, it’s a great way to reuse, save money and make things just look good.